There’s a total of 40 blocks and they are 16″! I was having so much fun making the blocks I didn’t stop to think how big it was getting to be! 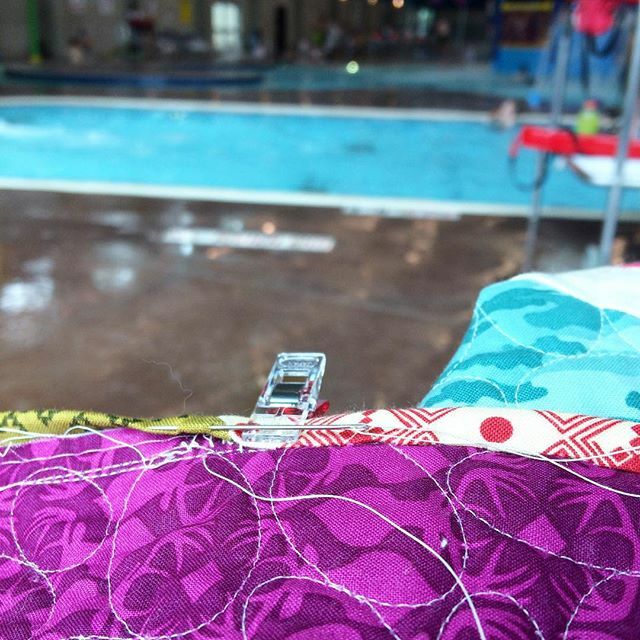 I added Kona, Bella, and Crossweave fabrics that I’ve had on hand and I thought combined well. 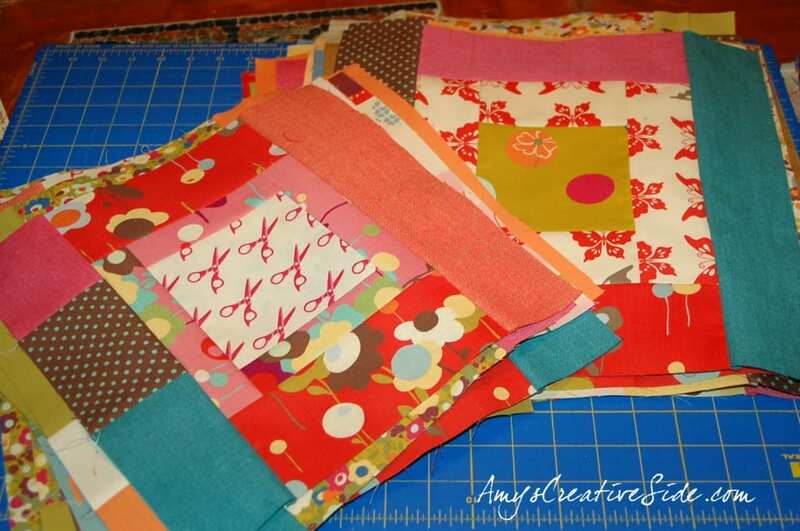 While these blocks might be considered finished, I’m planning to chop them up into quarters, and put them back together again! Wonky quarters, or even quarters? I’m still thinking it through and would love your input! 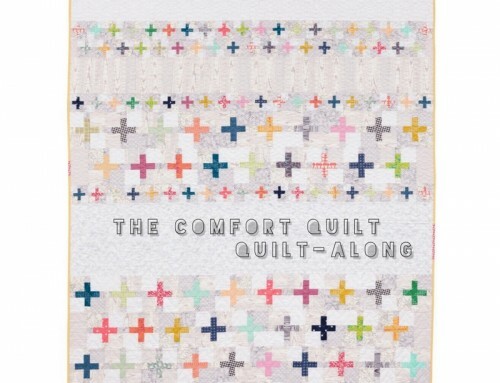 You could do a double sided quilt with one side as they are and the other side with them cut up. No matter your choice, I’m sure it will be great. Adding on to Suzanne’s comment, you could also do the blocks in the center wonky but leave the outside border of blocks regular. Then you could reverse it on the other side. I think even quarters too. They look fabulous. Can’t wait to see what you decide to do. I will go with the even quarters. Have FUN!!! They’re so fun, and you had fun making them…so that seems like a wonky kind of a thing. Have fun with it! The finished quilt will be great! I like them as they are but they would look nice chopped in quarters as well. I think a wonky center and even outside would be awesome! They came out great! I say chop them up in quarters and sew them back again. It will give it even more scrappy look. 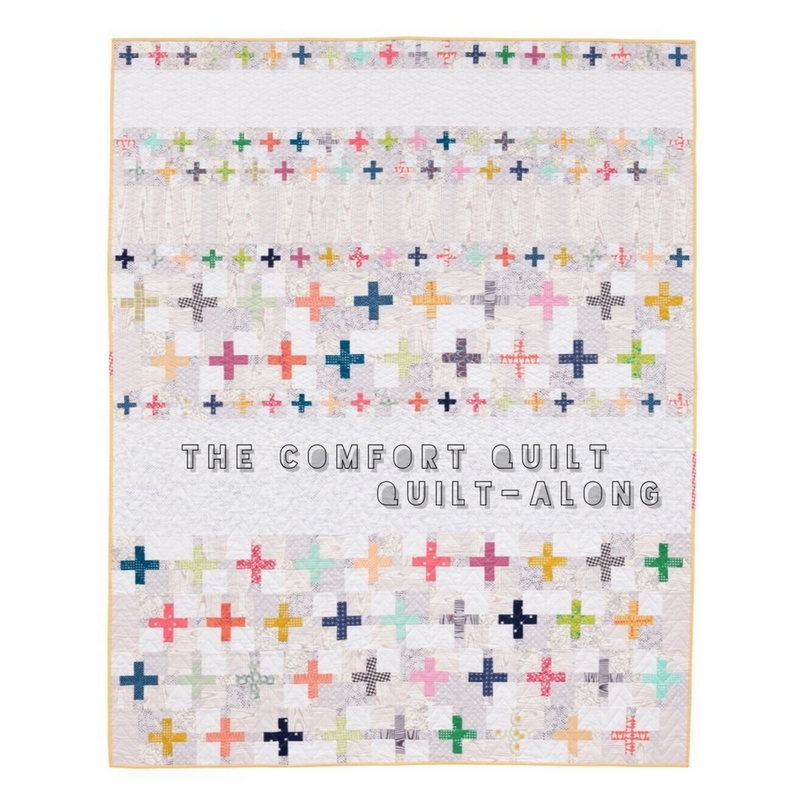 I like the quilt as is. But what do I know? Love the colors and random combos. The blocks are so beautiful just the way they are! I’m sure that they will be just as pretty however you do it. The colors are wonderful! Nice looking blocks there. I’m voting for wonky…just love those slightly or even wildly askew blocks. 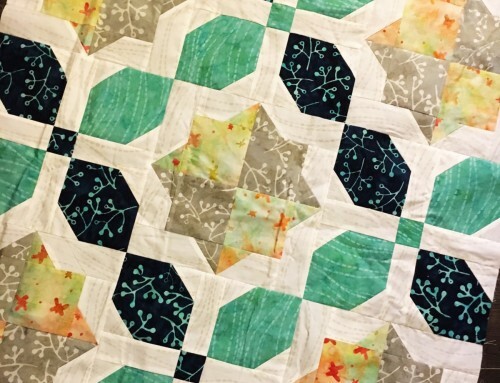 No matter what you do to these gorgeous blocks, you end with a wonderful quilt! You CANNOT go wrong. Wonky wonk! 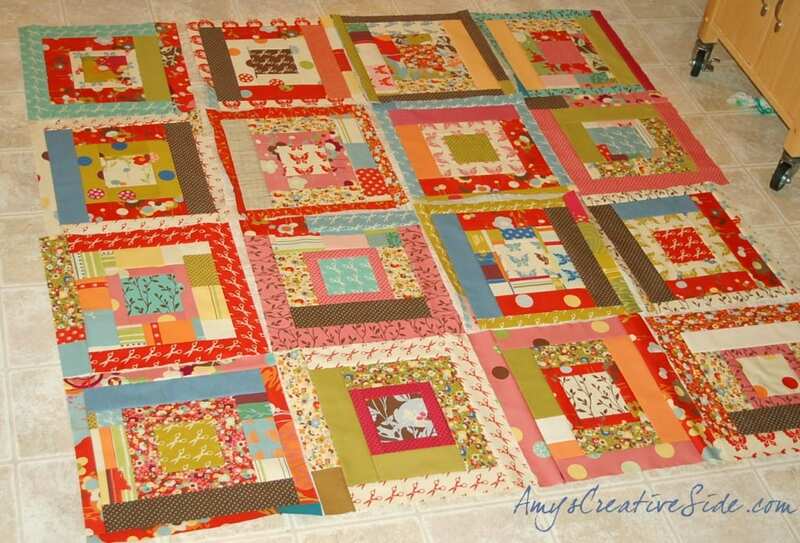 :) Beautiful blocks, Amy! 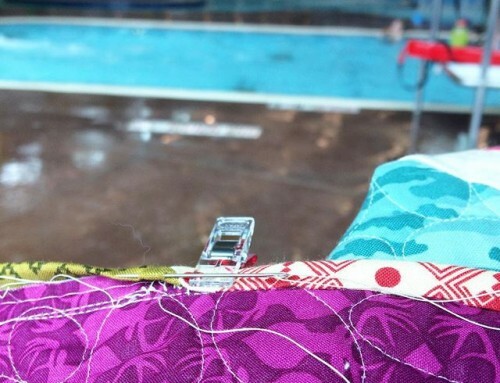 Are you sewing each block back to its other partners? Or mixing them up? Try the Stack and slash method if mixing them up. So much easier if you want the wonky. Everything is so busy that I’m not sure it matters which way you do it. I’d leave the blocks as they were actually! But if I had to choose, I’d go even quarters. I vote even quarters, too. These blocks look fantastic, Amy!!! Much as I love wonky I think I’d go for straight this time. Whichever you choose it’s going to look as fantastic as always! I vote even quarters. 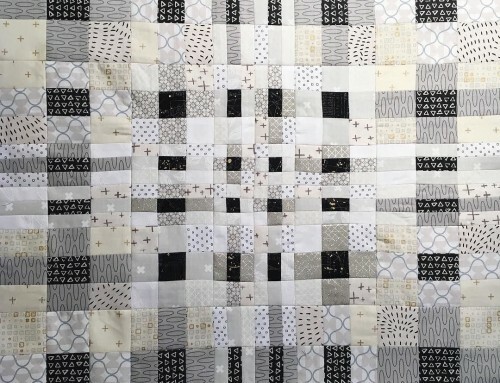 The center block will anchor them somewhat and add a sense of balance to what is already somewhat chaotic with so many fun fabrics mixed up. You’ve got enough blocks, do one with wonky and one with straight. I like the big blocks not cut up too. There are so many possibilities! I was wondering what it would look like if you cut each into four triangles and make a windmill. It might be too crazy if you had two blocks mixed together, but maybe adding some solids? They’d make cute pillow covers too. I’m sure whatever you come up with will be lovely. Take care. i’m no help, I’m not sure but i like it so far! Wow – these are SO FUN! There is also a lot going on pattern wise…what are you trying to achieve? Hello Amy! All those blocks are really wonderful! 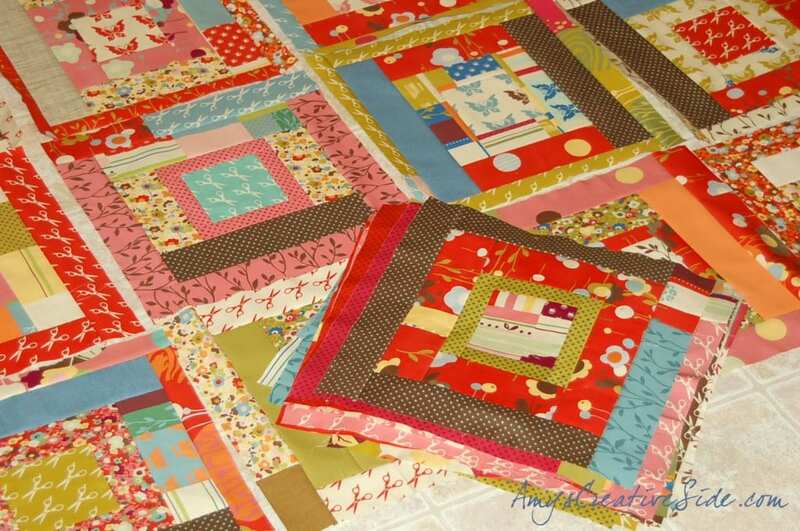 But what an exiting idea to cut them again … I would go for even squares because the fabrics are ‘busy’ and colourful. Anyway you’ll do it, it’s going to be fantastic quilt! Nice work, Amy! I say even on this one. Although I really don’t think you could wrong either way…happy sewing! 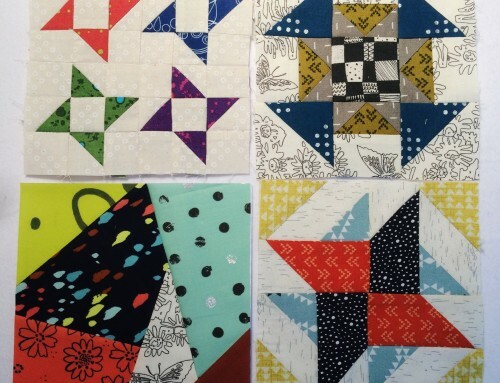 Gorgeous – I vote for wonky quarters!! I love them just the way they are! Your log cabins are so pretty. You did a great job! Can’t wait to see what you do next. I vote for wonky….that’s the kind of mood I’ve been in lately. 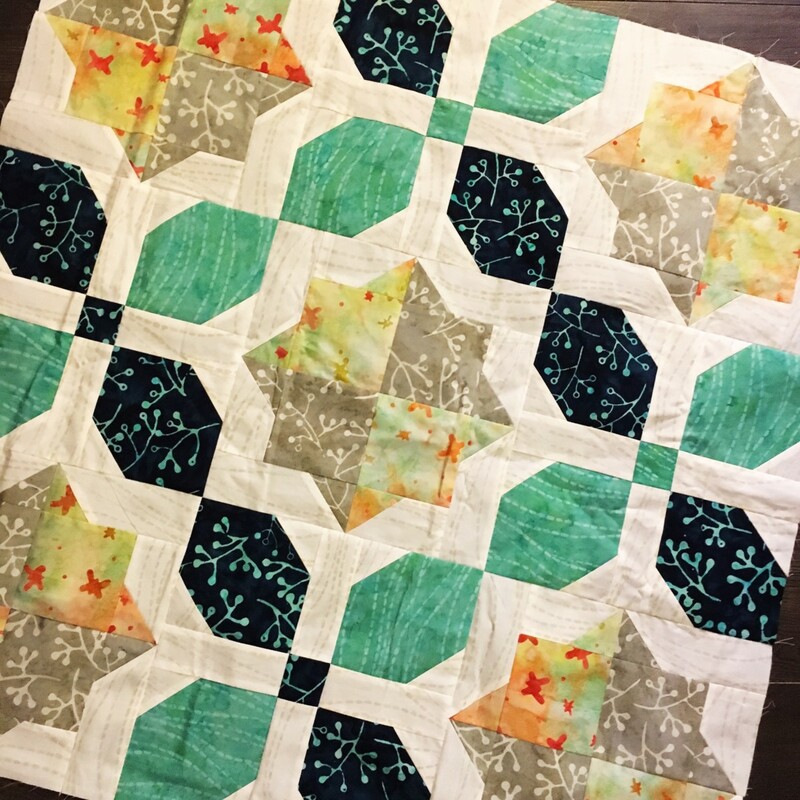 The blocks and quilt turned out so great. I’ve tried to put lots of fabrics together like this and they never look so good. Quite the debate! I’m going to sit back and see what you decide to do. I think the even quarters will contain some of the other wonkiness is just the perfect way. Whatever you come up with will surely be great though. 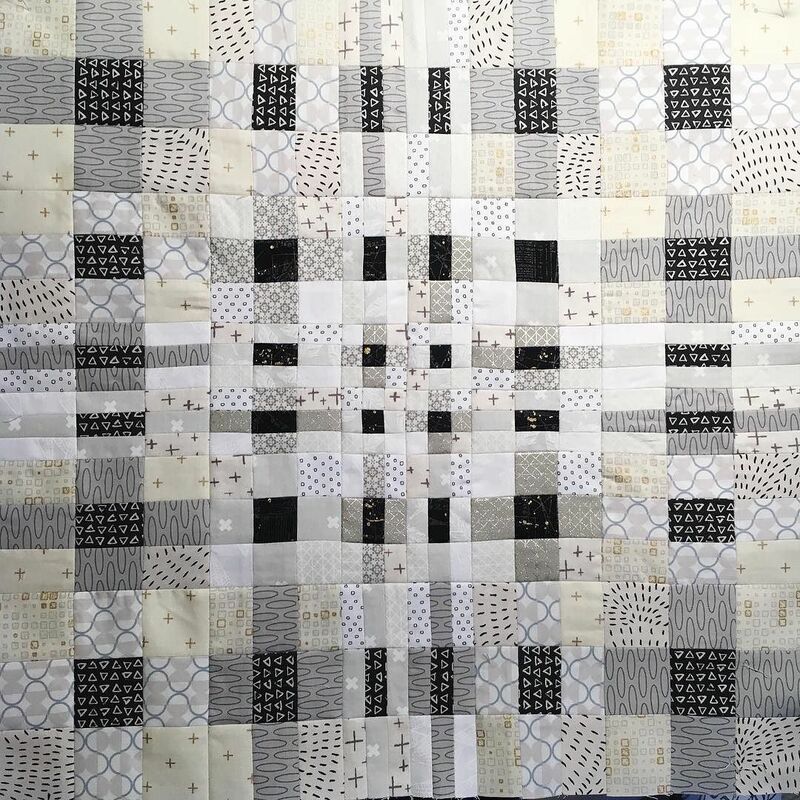 I think even quarters because your blocks are already pretty busy with a lot of different size strips and prints. They are very energetic with all of the color!!! Good luck and Kudos to you for being so industrious!! You are really gifted with your color choices! Hey Amy! I vote even quarters, too. 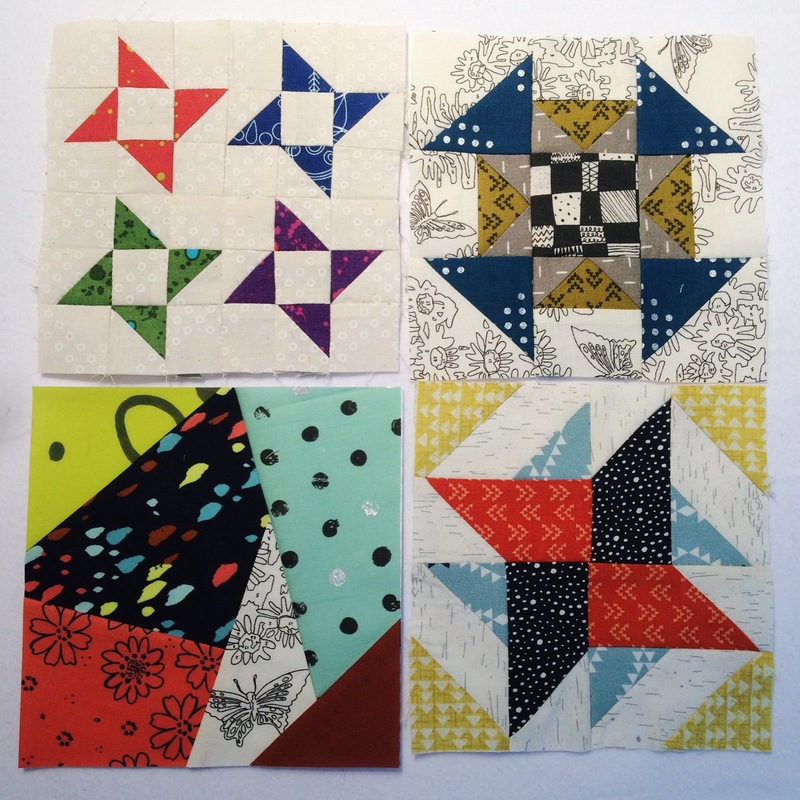 I think even quarters because your blocks are already pretty busy with a lot of different size strips and prints.